Rachel Barcellona will speak at the United Nations to talk about what makes her different: autism. PALM HARBOR, Fla. — Rachel Barcellona is a beauty queen, a singer, an actress and a student at the University of South Florida. 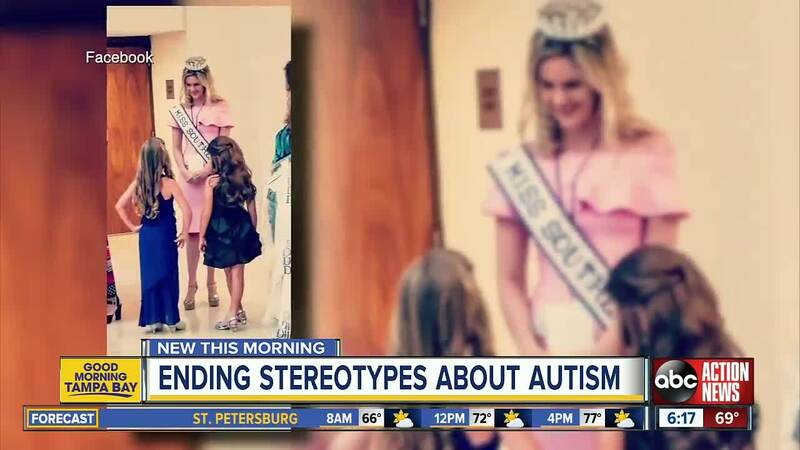 The 22-year-old says many of her life goals have been realized because of autism. Barcellona will tell exactly that to diplomats from across the world when she gives a speech at the United Nations in New York City on Tuesday for World Autism Day. Barcellona would like to be crowned Miss Florida one day. After that, she would love to get into the entertainment business by acting, although that gets frustrating. She is hoping her United Nations engagement will help change that, especially when it comes to a certain phrase.